Our Effective Acne Products are designed to help prevent or minimize breakouts by cleansing, protecting, cooling and nourishing acne prone skin and to address premature aging from scaring. As with most skin conditions, acne does not have a simple cure but the good news is that it can be treated effectively. At LPAR Skin Care, we believe the best approach for the “treatment” of blemish prone skin is prevention. We know that hormones, stress and heredity influence the tendency to have breakouts; but what happens under the surface and on top of your skin, is the cause of painful breakouts. 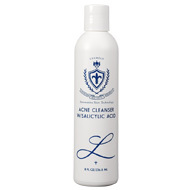 Acne Cleanser (w/Salicylic Acid), 8 oz. With salicylic acid, tea seed oil, and olive leaf extract, our acne cleanser deeply cleans and exfoliates acne prone skin, breaking up bacterial colonization, reducing breakouts, and providing a fresh, cool, anti-inflammatory effect. Designed for all skin types, the Thyme & Apricot Cleanser is a gentle, yet thorough cleansing lotion, rich with botanicals, fruit extracts and oils. Thyme oil (thymol) is the primary cleansing agent, with strong anti-microbial attributes, providing antibacterial activity, and an effective fungicide. Apricot extract conditions and moisturizes the skin while helping maintain skin elasticity. Combining salicylic acid and encapsulated glycolic & azelaic acid, the Acne Clarifying Cream is a potent medicated treatment that revives the skin by reducing bacterial colonization, exfoliating dead skin cells, and hydrating the skin. This retinol serum is designed for oily, acne-prone skin, and works within the skins layers, relieving the skin of fine lines and reducing the size of pores for a more youthful appearance. Ideal for adult acne or as a spot treatment for acne skin types. To find a LPAR Skin Care professional and our effective Acne Treatment products see our Retail Locator page. With 2% Salicylic Acid, Tea Seed Oil, and Olive Leaf Extract, the Acne Cleanser w/ Salicylic Acid deeply cleans and exfoliates acne prone skin while breaking up bacterial colonization, reducing breakouts, and providing a fresh, cool, anti-inflammatory effect. Gently massage cleanser into skin and remove with warm water. Avoid the eye area. 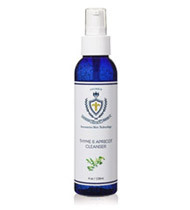 Recommended usage: Cleanse twice per day (morning & evening), alternating with the Antibacteral Cleanser. Designed for all skin types, the Thyme & Apricot Cleanser is a gentle, yet thorough cleansing lotion, rich with botanicals, fruit extracts and oils. Thyme oil (thymol) is the primary cleansing agent, with strong anti-microbial attributes, providing antibacterial activity, and an effective fungicide. 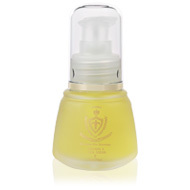 Apricot extract conditions and moisturizes the skin while helping maintain skin elasticity. Together, they create a complete cleansing experience with natural and sustainable ingredients. Emulsify cleanser with lukewarm water, and gently massage onto the skin. Rinse thoroughly and dry with a soft towel. For normal, oily, or delicate skin, cleanse twice daily. 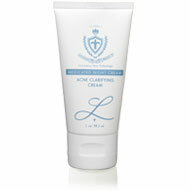 For acne regimens, alternate with the Acne Cleanser w/ Salicylic, once per day each (morning or evening). For external use only. Combining Glycolic, Azelaic, Salicylic & Lactic Acid, the Acne Clarifying Cream is a potent evening moisturizing treatment that revives acne skin types by reducing bacterial colonization, exfoliating dead skin cells, and hydrating the skin. For Acne and Oily prone skin types, apply once every evening by massaging onto the face using fingertips. Avoid the eye area. For night use only. Apply small amount of serum on clean skin once nightly, or as a spot treatment as needed. Do not use if pregnant or lactating. For night use only. This product should not be used by pregnant or lactating women.